If you’re heading to Toronto Comic Con this weekend, you may want to make tracks to the Big B Comics booth. 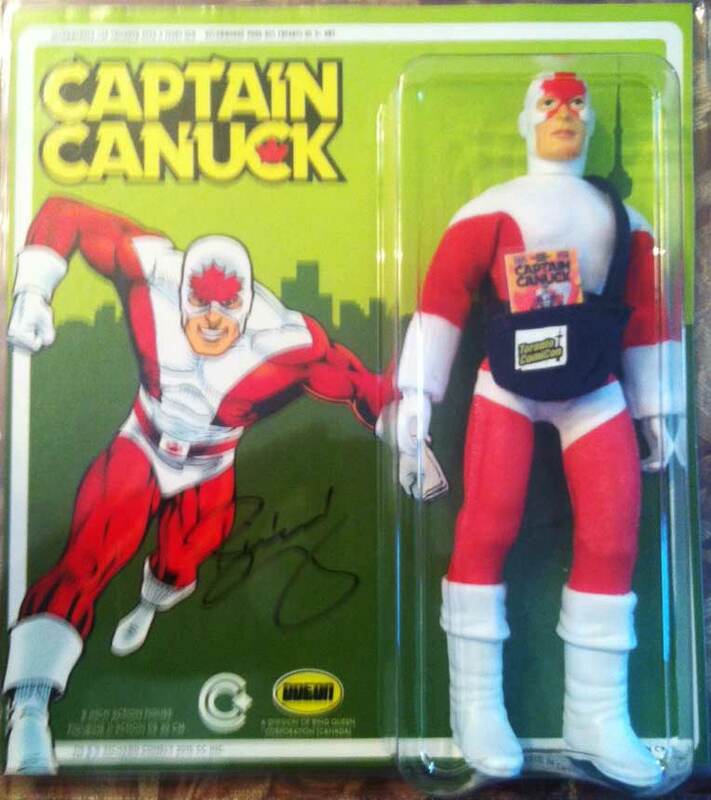 They’re have 20 of these limited edition Captain Canuck figures available with a Toronto Comic Con themed card back autographed by creator Richard Comely. Also included in this exclusive is a TCC travel bag and a replica of Captain Canuck #1. This entry was posted in Odeon and tagged captain canuck, exclusives by megohead1. Bookmark the permalink.